Now that Robert Mueller has issued his much-ballyhooed report, America’s liberals can finally give up on the delusion that our duly elected president broke any laws. No, we haven’t seen the full 300-plus page report yet. But Trump’s own attorney general has offered a definitive summary and the bottom line is: No collusion, no obstruction of justice and no impeachment! Complete and total exoneration! Predictably, there are still a whole bunch of Democrats who insist that Attorney General William Barr is orchestrating some kind of slow-motion cover-up, and that the mainstream press is once again giving the president a free pass to spew misinformation. For those who continue to sow doubts about this president (or harbor them) I promise you there’s a perfectly innocent explanation for the 100-plus contacts between Trumpworld and Putinworld. Believe it our not: our president is a double agent! Obviously, Trump is far too humble to ever brag about this. But it’s totally obvious if you look at the fact pattern in an objective manner. For instance, the president’s many haters love to speculate that he is beholden to Putin because he has business interests in Russia, including plans to build a giant skyscraper in Moscow, a project he lied about during the 2016 campaign. But of course he lied, people! That’s what double agents do! Making deals in Russia — hosting beauty pageants there, hanging out with shady Russians such as Felix Sater — is how you build trust. 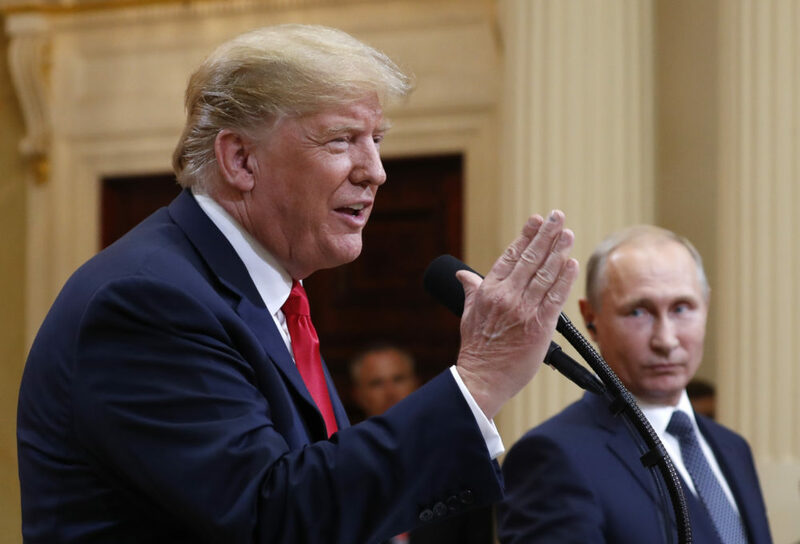 Trump pretended to be a greedy, lawless American real estate mogul on the downside of his career because he wanted Putin to see him a greedy, lawless failed mogul. And it worked! Putin truly believes that Trump will do anything he wants: lift sanctions, reveal national secrets, ignore his own intelligence agencies. Just look at how he suckered Putin at Helsinki. Obviously, Trump isn’t acting alone. 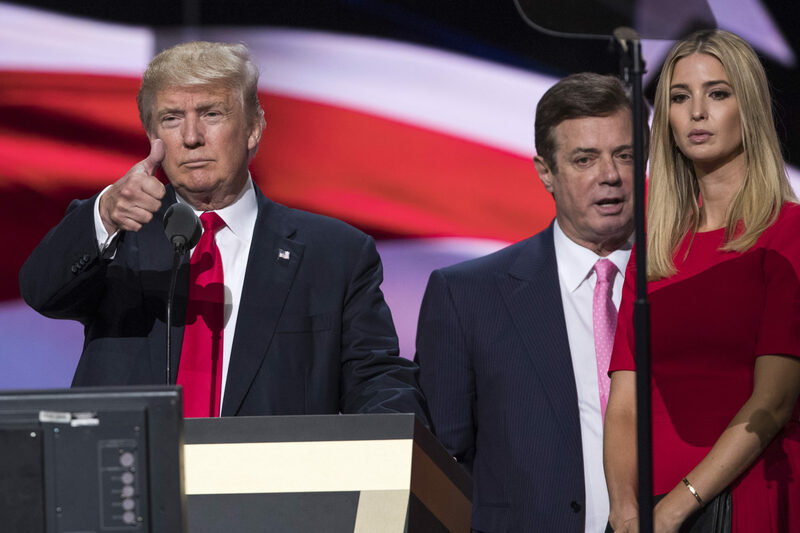 His entire campaign has been on board with Trump’s role as a double agent from the jump, from bigwigs like Paul Manafort and Michael Flynn to coffee boys like George Papadapolous. All those covert contacts with Russians were clearly part of the plan. The president even enlisted his family in his mission. Don, Jr. was no doubt horrified to receive that email promising Russian dirt on Hillary Clinton. His first impulse was of course to go straight to the FBI (everybody knows engaging the help of a foreign national in an U.S. election is illegal). But because the FBI is part of the deep-state conspiracy against his father, and thus can’t be trusted, he took the meeting instead. Brilliant. This is why Manafort and Jared Kushner took the meeting, too. And why Manafort later shared internal polling data with a Russian oligarch. And why Kushner sought to set up a back-channel with Russia. Fortunately, Putin is still none the wiser. He genuinely believes that our president is just a craven demagogue happy to kiss the ring of any genuine autocrat. And this, my friends, is why it’s so crucial that Trump handpicked an attorney general who he knew would fight any nefarious Democratic plot to subpoena the Mueller report and reveal its contents to the American people. It wasn’t because the president is terrified that the report will contain definitive (if not criminal) evidence of his misconduct. Or because it will remind Americans that his campaign appeared to be staffed almost entirely by Russia-friendly nesting dolls. It’s because Putin will suddenly recognize that he's been dealing not with a puppet, but a … puppet master!